Up until about eighth grade I’d always shared a room with my little sister. I honestly didn’t even mind because I was so used to sharing a space with her. We went from a tiny house, to a tiny apartment, to another tiny apartment, and finally had our own rooms once our family rented a home in a suburban-style neighborhood. Extra room was always scarce, but I do remember us having a cool bunk bed that we both loved because it was in more of a T shape, giving us little nooks and drawers for our toys and clothes, and it even had a desk on the end of it. However, nothing was as cool as some of the new modern bunk beds for kids that I’ve been seeing lately! 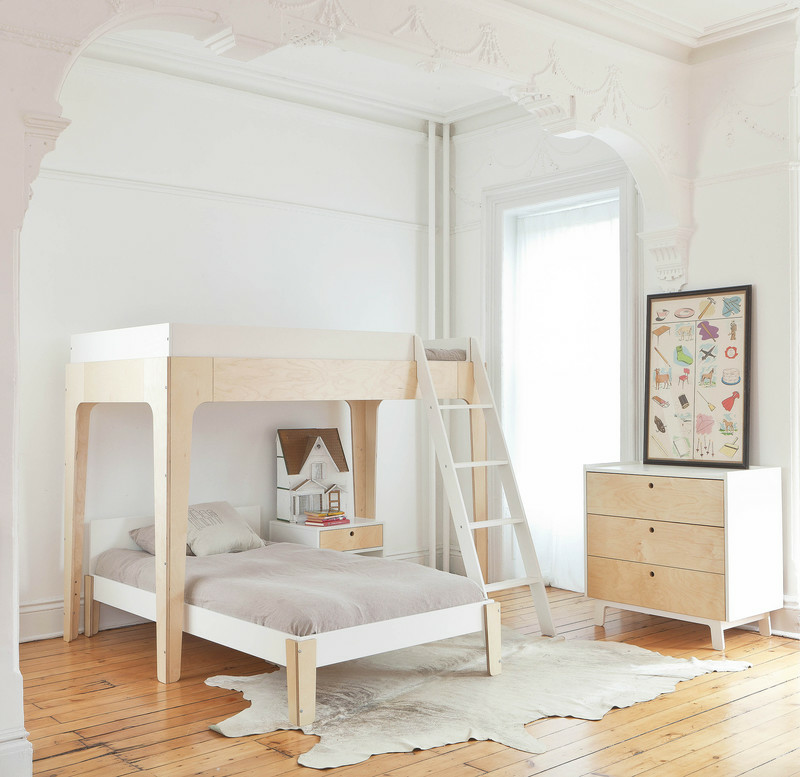 Whether it’s a spare bedroom for guests or out of necessity for kids sharing a room, these modern bunk beds are full of space-saving style. Depending on the ages of kids sharing a room, I love the sleek and minimal monochromatic design that’s free of clutter. I’d say that style is more for teenage siblings instead of small children.